An unusual clinical encounter : Gastric “Bradycardia” unmasked by Transthoracic Echo ! A 50-year-old man was referred for dizziness, bradycardia and dysphagia .He was very clear in describing his symptoms and landed up in Gastro- enterology OPD , from there was referred to my clinic for cardiac work up . His ECG showed a sinus bradycardia HR of 48 /mt. Echocardiogram revealed a structurally normal heart as we expected , but was surprised to spot suspicious shadow in para-sternal long axis view , beneath left atrium. As I was wondering what it was, the staff nurse in charge threw a heavy folder with well worked up gastro Investigations. That moment , diagnosis became obvious , without a need for further scrutiny to my medical acumen. Yes , it is Achalasia of the cardia , dilating the lower end of esophagus with fluid /mass effect , compressing the posterior surface of Left atrium.He underwent a myomectomy surgery. Achalasia cardia is known to be associated with symptomatic bradycardia, dizziness, and rarely swallow syncope,though this patient didn’t have a classical syncope.The bradycardia is probably due to high vagotonia, (Hugging effect on posterior surface of heart known for rich innervation of vagus.) . Complete reversal of bradycardia after esophago -gastric surgery is expected. The field of Cardiology is often referred to as a super specialty atleast in India . I disagree with it strongly. 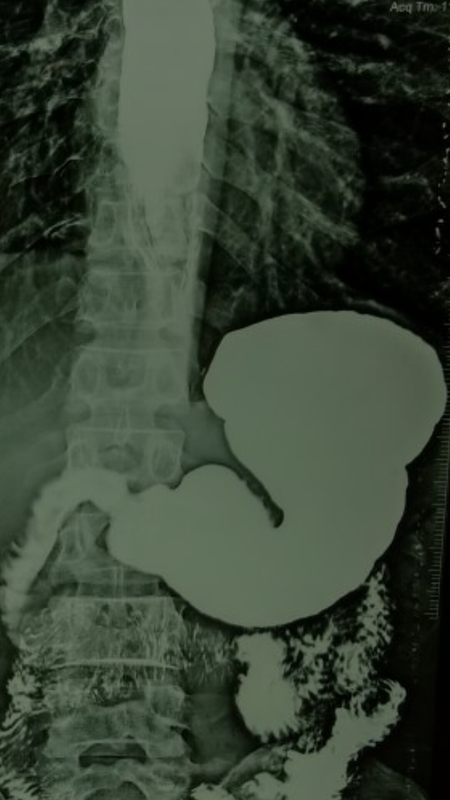 Cardiologists are neither super(eme) nor special .We need to be reminded its afterall a sub-specialty of Internal medicine and each specialist should undergo retro-training in medicine periodically .This patient is a typical example of a gastric problem entering the domain of cardiac Imaging.Strong foundations in symptom analysis and some degree of medical curiosity will enable an occasional cardiologist to make a correct diagnosis belonging to a remote foreign specialty. 4.Dysphagia. 2005 Summer;20(3):238-40 4.Basker MR, Cooper DK. 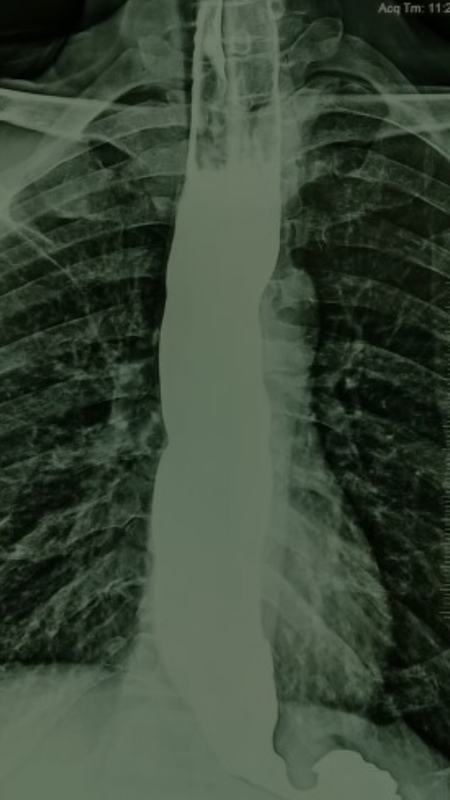 Oesophageal syncope. Ann R Coll Surg Engl. 2000;82:249–253. Mitral valve strands : Hey . . , What’s that moving object over AML ? Hey , What’s that moving object over AML ? It looks odd, it doesn’t look like a thrombus or a vegetation. Yes, I agree , its moving independently but I think , Its benign threads of fibrin attached to the valve .They are called as valvular strands. Is it ?, I haven’t heard about it ! Can you please tell me something about it. Strands are highly mobile, fine, filiform threadlike excrescences that is seen arising from valvular structures. Synonym : Its same as Lambl’s excresceneces , the Czech physician who described it over Aortic valve in 1860. Is it Physiological or Pathological ? The valve closure lines are physiologically stressed , some amount of denudation of endothelium is expected .This leads to a thrombus formation along with the exposed mucopolysacchride layers of the valve form a filiform ,filamentous structure. .To call it physiological or pathological is left to our wisdom and perception. The size however matters. It could be the reason behind many unexplained strokes. What is the natural history of these strands ? Its difficult to believe It may persist for lifetime.If its truely fibrinous strands it may have a life cycle and disappear. Should be less than 1 mm. 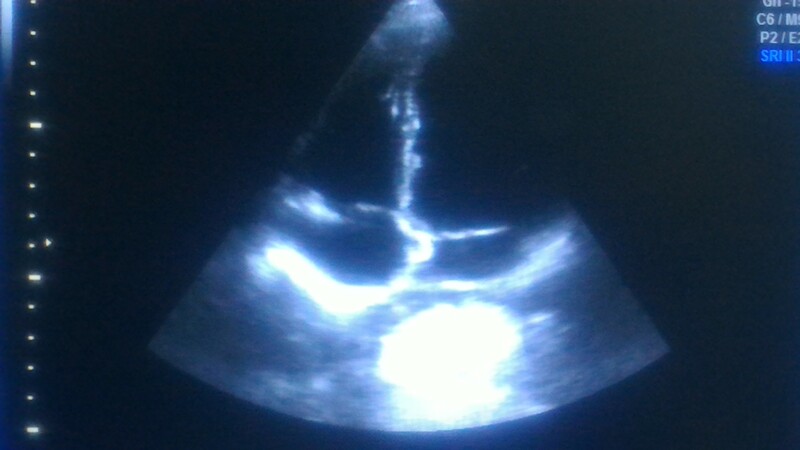 Can be seen in any valve or even in aortic root. Attachment : Atrial side of mitral valve and ventricular side of Aortic valve. Strands over prosthetic valve is also reported. It has three common issues. One: Getting confused with other more pathological entities. Two : Risk of stroke. Three: Nidus for normal native valve endocarditis ? These strands are minute. It seems plausible dislodgement need not necessarily result in stroke or other organ ischemia.We don’t know whether it gets dissolved on transit.However the risk of stroke is increased in most reports except few studies(Roldan). First question to ask is , Should we inform our patients about these ubiquitous accessory valve tissues if detected incidentally ? In patients who has h/o stroke presence of these strands gains importance and is an indication for anticoagulation. Surgical excision of large strand is a dramatic option and is rarely performed. Is it accessory valvular (mesenchymal) tissue ? Does Atheromatous plaque contribute to these strands in Aortic valve ? Strands , if disappears by natural means , do they regrow from the same spot of raw surface ? Fibrous strands detected over the valves by routine echo are uncommon .However , It may give considerable anxiety if documented and reported to our patients and physicians .Though these have negligible clinical significance , the risk of stroke is increased in those with large strands. 2.Aziz F1, Baciewicz FA Jr Lambl’s excrescences: review and recommendations.Tex Heart Inst J. 2007;34(3):366-8. 3.Cohen A1, Tzourio C, Chauvel C, Stroke. Mitral valve strands and the risk of ischemic stroke in elderly patients. The French Study of Aortic Plaques in Stroke (FAPS) Investigators.1997 Aug;28(8):1574-8. 4. Roldan CA1, Schevchuck O, Tolstrup K Lambl’s Excrescences: Association with Cerebrovascular Disease and Pathogenesis., Cerebrovasc Dis. 2015;40(1-2):18-27. Iam confused with this Low flow -Low gradient -Normal LV function stuff . . . please clarify ! So ,whenever one records a “Low gradient AS” there are 4 distinct possibilities. Technical inadequate Doppler alignment , with possible true moderate /severe anatomical AS . Echocardiographer should rule out 1 and 2 before going to the complex world of low gradient severe AS.In my personal opinion , the entity of Low flow , Low gradient with Normal LV function appear redundant ( or is it beyond my understanding ) .One should look at the valve morphology and decide in such situations. Then , one will shortly bump into this query is it 2 or 4 ? Another googly . . .
Why can’t Doubutamine* stress test routinely undertaken in the subset of patients with with subjects with Low gradient /normal LV function to augment the anatomical low flow and find whether it is true low flow or not ? *This would mean , a most impractical situation wherein every patient with even mild AS should need to undergo dobutamine testing to rule out significant AS. 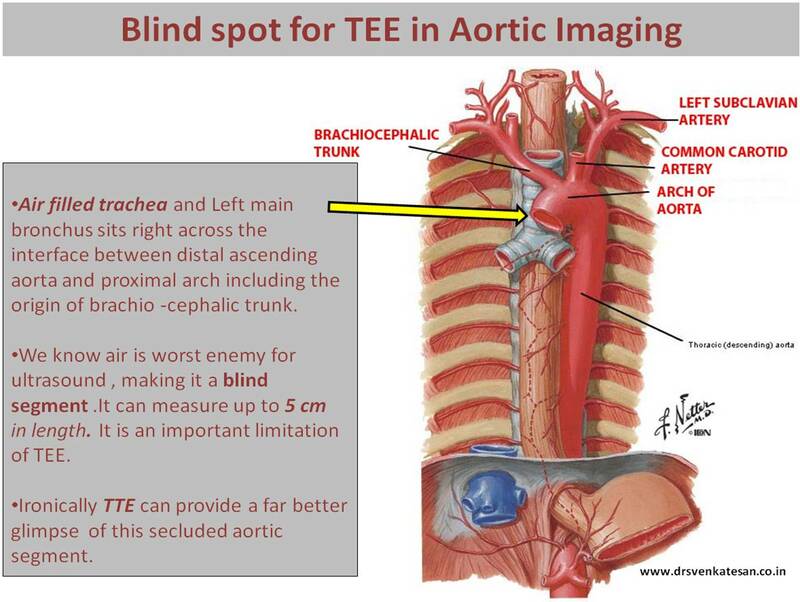 Where is the Aortic blind spot for TEE ? How to over-come it ? Meticulous Aortic imaging is vital for assessing atherosclerotic plaques in stroke evaluation , aneurysms of aorta ( Both dissecting and non dissecting.) and during aortic surgeries. Peri procedural aortic imaging has become mandatory in many of the complex aortic endovascular repair as well . 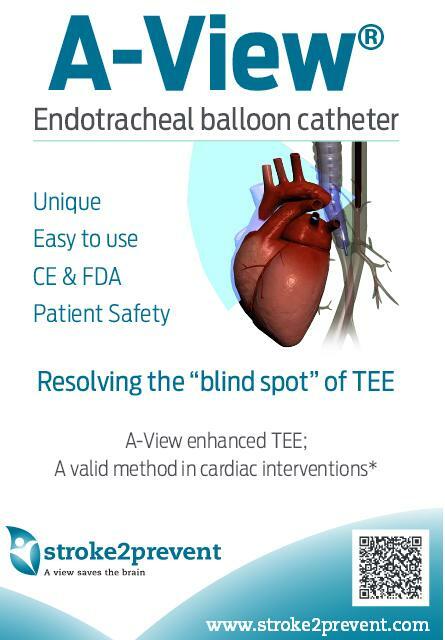 TEE is an extremely useful investigation and has revolutiolised our appraoch to aortic disorders . However , we have an issue . How to overcome it ? During peri-operative TEE a simple but innovative idea is to displace the tracheal air with saline filled balloon and capture the aortic arch with ultra sound . What a way to un-blind our vision deep inside the thorax ! A specific catheter is available for this purpose . 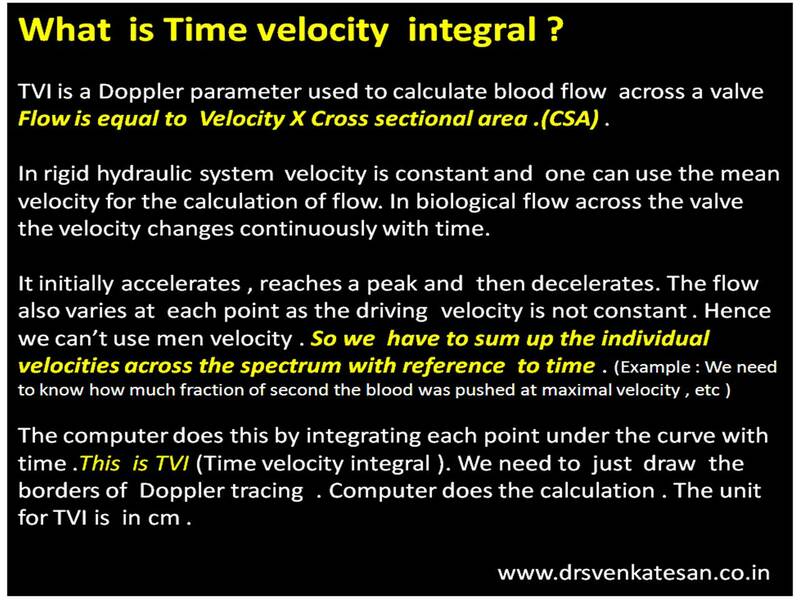 TVI (or VTI) is a hemo-dynamic echo parameter measured from Doppler spectrum across the valves ,usually in the outflow.This parameter is used to calculate cardiac output .VTI times the cross sectional area gives the stroke volume.